The narrative that AUSG has been telling you is a lie. 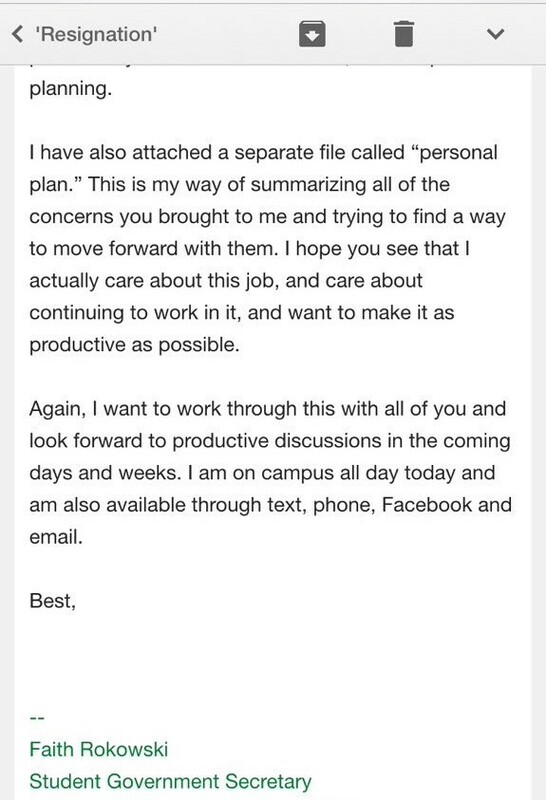 We, the students of American University, have been led to believe that AUSG Secretary Faith Rokowski resigned her position due to her “personal well-being.” The Bottom Line has obtained an email written by Rokowski on June 3 that tells an entirely different story. 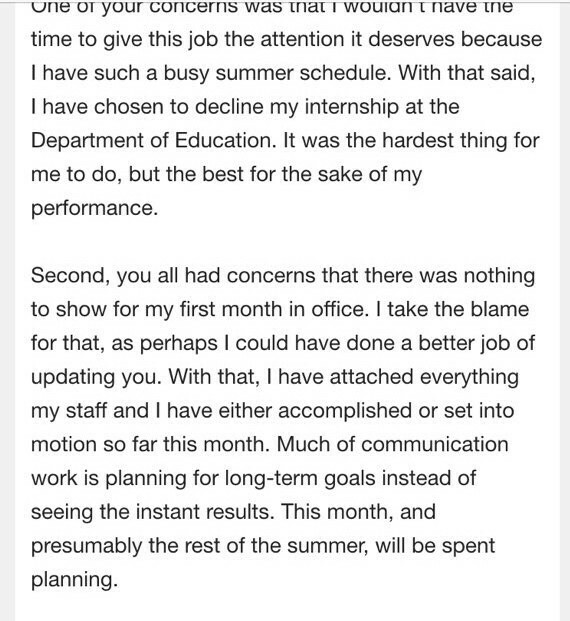 Rokowski clearly stated that she wanted to continue on as AUSG Secretary, and she then went on to detail exactly how she would improve in her job. 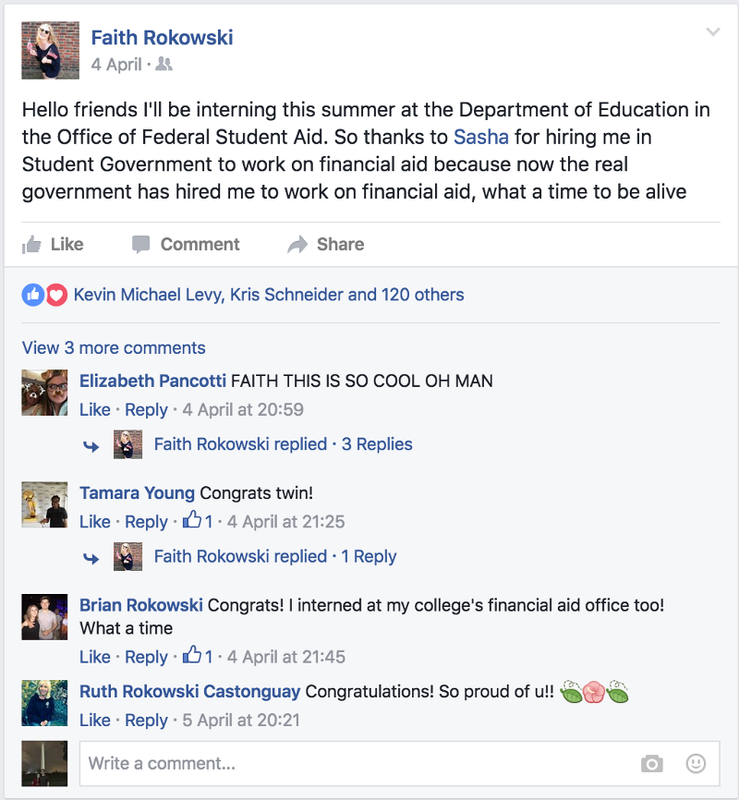 Rokowski even declined an internship at the Department of Education that she had proudly posted about on her personal Facebook page in order to prove her commitment to her job as AUSG Secretary. In this reporter’s opinion, an investigation into the circumstances surrounding Rokowski’s resignation must occur. In the meantime, Rokowski’s resignation letter should have a hold placed on it until it is determined whether or not she was forced out of her position in a manner unbecoming of American University students. American University students care deeply about the work that they do, and Faith Rokowski is one of the many students who cares deeply about AUSG. 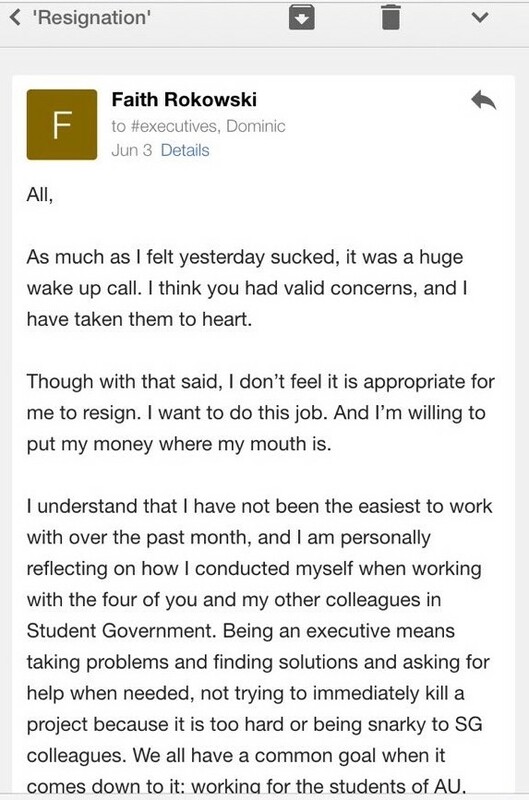 The circumstances surrounding her resignation need to be more fully investigated before AUSG loses a valuable member.